V. Rev. Myron Effing, CJD, was ordained in 1972 by the diocese of Fort Wayne-South Bend. For the next 20 years, he served in a number of capacities — as a science educator, school administrator, vocations director, religious superior at Crosier Monastery in Nebraska, and Rector of the seminary on Guam. In 1991, Fr. Myron answered the call from Pope John Paul II for religious to enter Russia, and he became one of the first priests to serve in the diocese of Novosibirsk. He has since opened or reopened 11 parishes across Eastern Russia. Fr. Myron now serves as pastor for three parishes, including our main parish in Vladivostok. He is also the Superior of the Order of Canons Regular of Jesus the Lord. Fr. Myron is the creative force behind many of our programs in Russia, having arranged for training of catechists, pro-life leaders, and college evangelizers, and guiding the development of their respective programs. Fr. Myron also oversaw an enormous project that not only brought the Vladivostok cathedral back into the hands of the Catholics, but also saw it beautifully and majestically restored. He is loved by parishioners young and old. Rev. 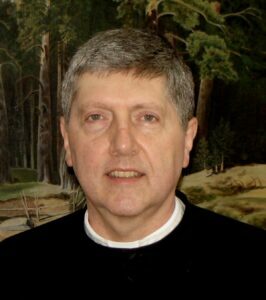 Daniel Maurer, CJD, of Michigan, was ordained in 1992 by Most Reverend Joseph Werth, SJ, Bishop of the Russian Diocese of Novosibirsk. His was actually the first ordination in the enormous diocese of Novosibirsk, and the second in the entire country since the fall of communism. In Russia he has worked as associate pastor, pastor, and as director of liturgical music and sacred music programs. Fr. Dan is an enthusiastic speaker with dozens of incredible and often humorous stories. He has been featured on EWTN in an hour-long interview with Raymond Arroyo, and has been a guest on Catholic Answers Live, Ave Maria Radio, and EWTN Radio. His work in Russia, along with that of Fr. Myron, has been featured in Columbia magazine, Faith & Family magazine, Catholic World Report, Our Sunday Visitor, and Catholic Digest. Rev. 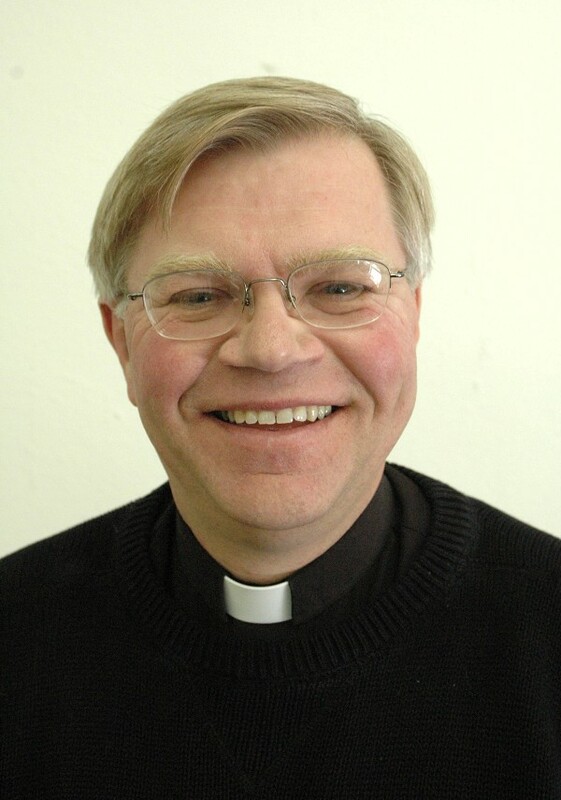 Douglas Grandon, PhD, is Parochial Vicar at St. Vincent de Paul Parish in Denver, Colorado. Before becoming a Catholic priest, Fr. Grandon served nearly 25 years as a Protestant pastor and missionary. After much study and prayer, he and his wife Lynn entered into full communion with the Catholic Church. He was ordained to the priesthood in 2008, after Pope Benedict XVI granted him permission to serve as a married Catholic priest. Fr. Grandon holds multiple degrees with a PhD in Historical Theology from St. Louis University and post-doctoral work at Oxford University. His interest in Russia goes back many years and he has visited the country a number of times. He and Lynn both have a deep understanding of the spiritual and social problems facing Russians today. They have been active members of the mission society’s board for several years. Rev. Steven Bauer is a native of the Chicago area and has been a priest of the Archdiocese since 2004. 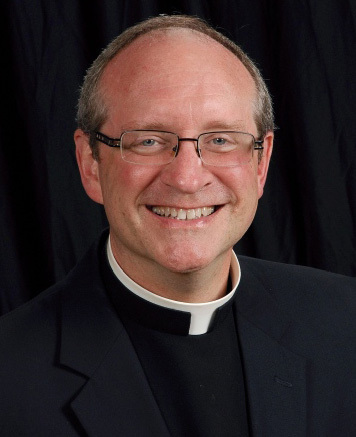 He is currently the Associate Pastor at St. Luke’s Parish in River Forest. Previous assignments included a college campus and St. Joseph College Seminary in Chicago. In those roles, he served as the spiritual director for students on summer mission trips. It was a trip in 2011 that led him to the Russian Far East. Father was touched deeply by the harsh struggles he witnessed there. Moved also by the simple ways that he could bring hope and joy, especially when conducting a children’s Bible camp in the impoverished village of Lesozavodsk, Fr. Bauer was inspired to return in 2013. His talks blend Scripture, personal stories, truths of our Faith, and humor. Rev. James West is currently the Pastor of the Church of St. John the Baptist in Hot Springs, Arkansas. Fr. West has traveled to Eastern Russia three times and has witnessed firsthand the work being done there. On each of his visits, he accompanied parish groups. In Russia, he has celebrated Mass, visited patients in the hospice facility, met individually with many of the elderly Catholic parishioners, and assisted with the charity meal for the elderly. Fr. West’s enthusiasm is infectious and he has been quite active in creating and developing sister parish relationships in Arkansas. He has also appeared on local radio programs, discussing the work of the Church in Russia. Fr. West now serves as the mission society’s board Vice President. He is a vibrant, humorous, and engaging speaker. Sr. Maria Stella Whittier, CJD grew up in Virginia, but now lives on Russian Island, near Russia’s southeastern coast. Sister made her solemn profession of perpetual vows in 2010 in the diocese of Kansas City-St. Joseph. She holds a Master’s degree in Catholic Studies and is an accomplished musician with expertise in piano, organ, and harp. Today, much of her time is filled with performing the spiritual and corporal works of mercy. She plays harp and sings with the hospice patients; works with mothers and mothers-to-be in difficult situations; ministers to the abandoned elderly and post-abortive women; and provides catechetical instruction to needy children in the town of Lesozavodsk. Sister also sings in the Vladivostok parish choir and provides organ and harp music when needed. Dc. Patrick Cline has served the Church as deacon for more than 35 years. He was ordained in the Diocese of Brooklyn, and has since served parishes in both New York and New Jersey. 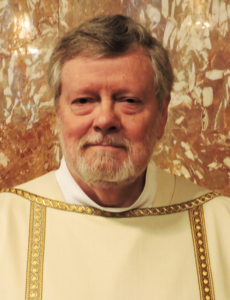 He has been involved in RCIA, Adult Education, and Sacramental Formation as well as performing the usual pastoral work of a deacon. His first introduction to the mission occurred during a cruise to China, when he took a side tour to visit the only Catholic Church in Vladivostok. There, he met Fr. Daniel Maurer and was overwhelmed by the stories he heard. Soon after returning home, he contacted the mission office to learn more and to offer his assistance. Dc. Cline is an enthusiastic speaker and fine representative of both the Catholic Church and the Vladivostok Mission. Tyler Kolden has worked with FOCUS (Fellowship of Catholic University Students) for 10 years. This organization is centered on reaching students on college campuses and relies on Tyler for its Information Technology needs. In 2011 and 2013, Tyler led mission trips to Vladivostok, taking FOCUS groups to work with orphans and needy adults. The groups also participated in Russia’s annual Far Eastern Catholic Youth Conference. There, the FOCUS members spoke to Russian young people about how their faith has impacted their lives. 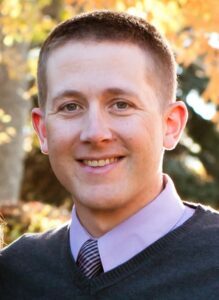 Today, Tyler lives in the Denver area with his wife Lynelle and four children. He began serving the mission society as a board member in 2014. Wesley Vaina lives near Pittsburgh, Pennsylvania with his wife Karen and both are parishioners at St. Mary of the Assumption in Glenshaw. He is the Graduate Enrollment Manager for the University of Pittsburgh’s School of Education and is currently working on his Master’s degree in International Policy Management, with a focus on Russian and Eastern European diplomatic affairs. In 2013, after hearing a speaker discuss the Church’s work in the Russian Far East, Wes contacted the mission office with an offer to volunteer. He has since had the opportunity to represent the mission across the country, not only as a conference representative, but also as a parish speaker. His interest in Russia is evident in his talks. He is a dynamic and passionate speaker, who always receives rave reviews from his host pastors and audiences. 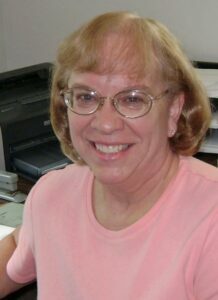 Susan Gray has served the mission as grant writer since 1993. She has been to Vladivostok four times, the first trip in 1996. During that initial visit, Susan gave basic instructions to the church pianist on how to play the parish’s newly acquired, second-hand organ. On subsequent visits, she led groups of American volunteers, assisted with their paperwork, and introduced them to the work of the Church in the region. In addition to her grant-writing duties, Susan also has written articles about the mission for Catholic newspapers and websites. 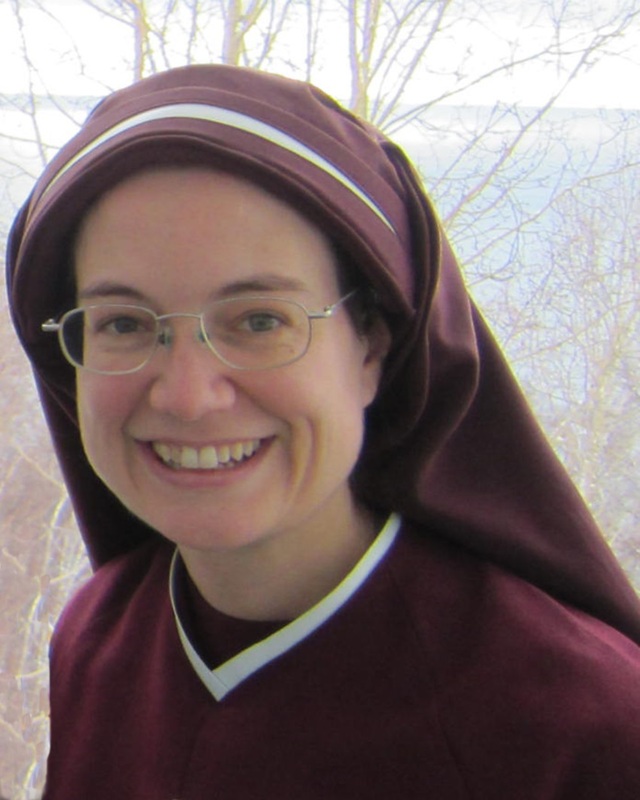 She currently serves as the society’s secretary and has spoken to numerous Catholic parishes and groups about the work in Eastern Russia. Susan lives in Cabot, Arkansas, with her husband, Michael.